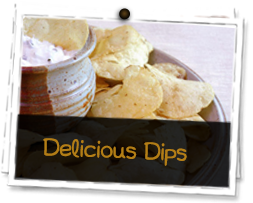 A perfect nibble for an aperitif, crisps are not often thought of as a “pairing ingredient” for whisky. 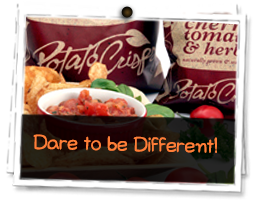 But why not take the challenge and seek out matching tastes to accompany Mackie’s wide range of crisp flavours. Here Martine Nouet, the “Queen of the Still”, Editor of Whisky Magazine France and contributor to Whisky Magazine UK, provides us with some ‘pairing notes’ for a few of our most popular flavours of crisps. (Martine has approached the pairing in terms of aromatic families rather than specific whiskies, though there are also some examples of brands given). The salt is not overwhelming. 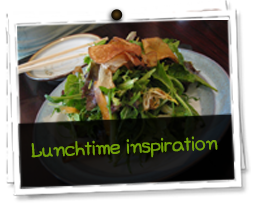 The crisps are crunchy with a nutty flavour and a toasted note. A Speyside single malt with a light grassy profile (dry hay, meadow flowers, freshly cut grass) will make a very pleasant pair with the crisps. For example Glen Grant 10 year-old or Glenfiddich 12 year- old. Generally speaking, a whisky matured in ex-bourbon casks will combine pleasantly with the toasted flavour of the sea salt crisps. For a characterful match, go for a peated island malt such as Ardbeg or Laphroaig from Islay. The salty taste will enhance the smokiness of the whisky. Quite an original flavour for potato crisps. The haggis flavour, paired with the spicy pepper is well recreated. These crisps need to be matched with a strong character. A sherried whisky will please those who like powerful combinations. For a more approachable pairing, The Famous Grouse (a rich blend) will bring in a smooth fruity character. On the spicy side, Talisker (the single malt from the Isle of Skye) will respond with its smokiness and pepperiness. Not for the faint of hearts! A definite meaty flavour with onions and tomatoes in the back. A good combination can be found with a sherried whisky (a whisky which has matured in a sherry cask from Spanish oak). For instance, some sherried single malts from Speyside: Macallan, Glendronach, Linkwood, Mortlach or from the Highlands like Dalmore. Or a full bodied blended whisky like Johnnie Walker Black Label. The cheddar brings in a fruity note. A mild but tasty combination which will match with a dry Highland single malt. For instance, Dalwhinnie (Northern Highlands) and its honeyed touch, Oban (Western Highlands) and its slight saltiness. A grassy whisky will also make a harmonious match. This flavour is probably the easiest to combine with whisky as it will suit the whisky cereal/malty flavours. Most blended whiskies will marry well with these crisps too. The sourness of the vinegar makes this one difficult! I can’t really think of a style of whisky to meet that challenging flavour. A sweet Lowland single malt maybe such as Auchentoshan Classic (rich in vanilla notes) or a honeyed Speyside single malt. But honestly, these crisps are so particular that they make any matching with whisky “risky”. Beer will certainly give better results.